The FFA Girls National Championships began today in Coffs Harbour with our very own Claudia Mihocic representing Victoria. 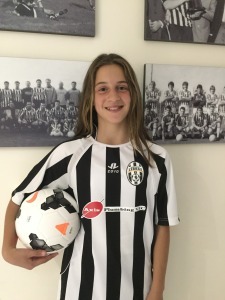 Claudia, who has been at the club for a number of years and currently plays in our Boys Under 13 NPL squad, has been selected in the Victoria Under 15 squad despite still being just 12! It is an incredible achievement and goes to show what is possible for Boys and Girls playing at the Moreland Zebras. We wish Claudia and the Victorian teams the best of luck this week as they take on the best of the best from around Australia.